Onsite garage parking available in the REO Flats Building (same as Omega) an across the street for an hourly rate. We do not cater at this time, but our sister restaurant Vios Cafe can assist you with our Greek catering menu www.vioscafe.com, or 206-329-3236. 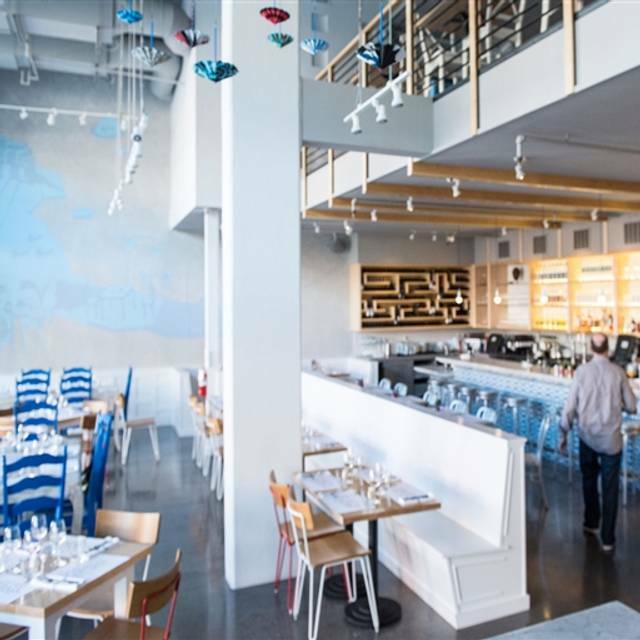 Omega Ouzeri on Capitol Hill in Seattle, brings contemporary Greek seafood, vegetables, liquors, and wine to the Pacific Northwest. 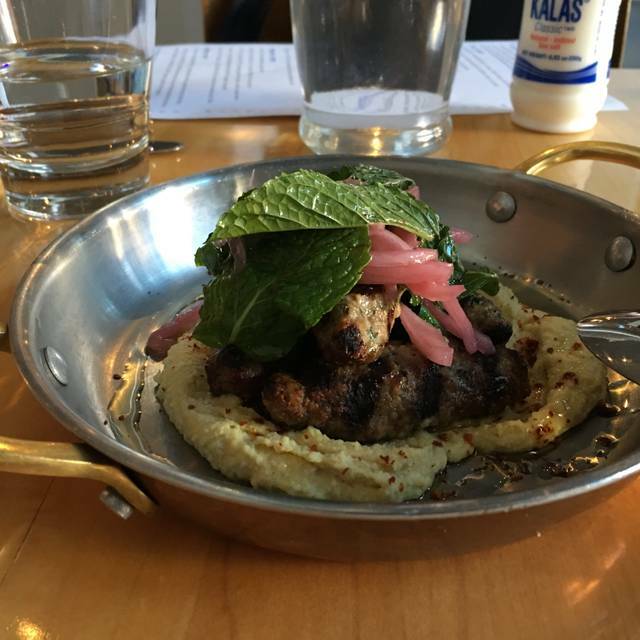 Specializing in the Greek Experience with a variety of meze, small plates and platters to be shared with ouzo, tsipouro, and wine, Omega Ouzeri is a lively and fun restaurant in the heart of Seattle. Wine Spectator Magazine awarded Omega Ouzeri an "Excellence" for our 100 plus, Greek only wine list. Check out our website's Events page for up coming wine dinners with Greek winemakers. We love to help host parties in our private mezzanine, outdoor patio, our bar or the whole restaurant. Our private mezzanine is available for parties of 10 to 30 guests, both cocktail and sit-down lunch or dinner. Our outdoor patio seating sits up to 16 and our bar seats up to 20. Visit Omega Ouzeri for happy hour, dinner, or private parties and transport yourself and your guests to Greece! Μπουκιά και συγχώριο. Boukia kai syghorio. "One bite and all is forgiven." The new small plate menus is excellent. Great service as always been a strong point. We are foodies and love this restaurant, definitely will come back! Our first time to this delightful place. Very helpful server who allowed us to linger for two hours. Beautiful, inviting, spacious dining area. Reasonably priced 3 courses for restaurant week, but think it might be overpriced otherwise. Halibut wrapped in grape leaves outstanding. Lamb truly succulent, but accompanied by very salty chick peas. Custard in grain pie was delicious, but the phyllo was a bit soggy. Bread pudding was made with prunes, actually a favorite of ours, but it did not work very well in this dish. We will probably return as the experience, as a whole, was very good. Omega has been a regular stop for me for a few years now, it is such a welcome addition to the 'hood. From the bright Mediterranean colors to the deep Mediterranean flavors, this restaurant has it all working for themselves. The staff is very friendly and knowledgeable and can answer all your questions about the menu and make solid recommendations. Don’t miss the inventive cocktails, these are a surprise. This is one of my favorite places. The food is always excellent and the atmosphere is casual and elegant. We love this restaurant so much, and always happy to come again! Very good but small portions for family style sharing. Amazing service. The kind of food you would get in a nice restaurant in Greece. Authentic, not traditional American Greek food. The real deal. Really loved the food here. The tasting menu was outstanding. Personally, I think I went in a bit too hungry so I wasn't completely full after our 3 course meal. However, I would highly recommend this restaurant for anyone looking for a great modern twist on some Greek classics. We loved our experience. The staff was friendly and fast but the most amazing part of the evening was the food. We thought the salad could not be beat until they served the meat platter. Fabulous! Can I buy the pita for entertaining at home? It is out-of-this-world delicious! 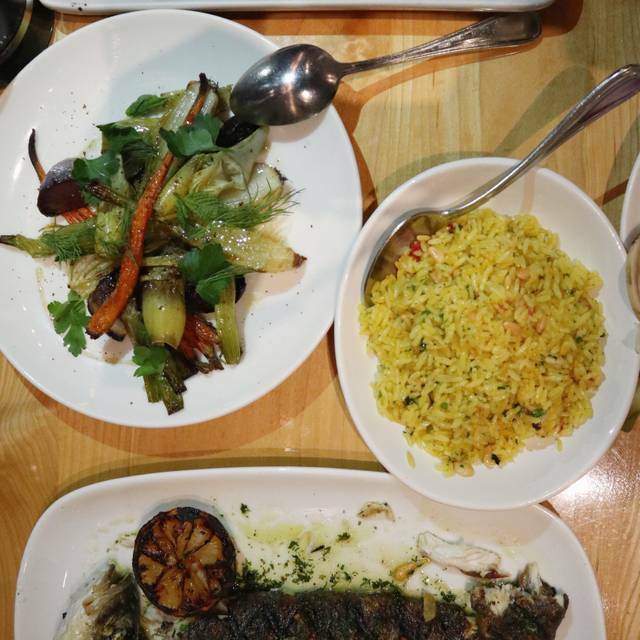 All of our sharable small plates and larger selections were amazing. I brought guests visiting from out of town and they were quite impressed by our meal, service, and ambiance. Amazing food, place and service! 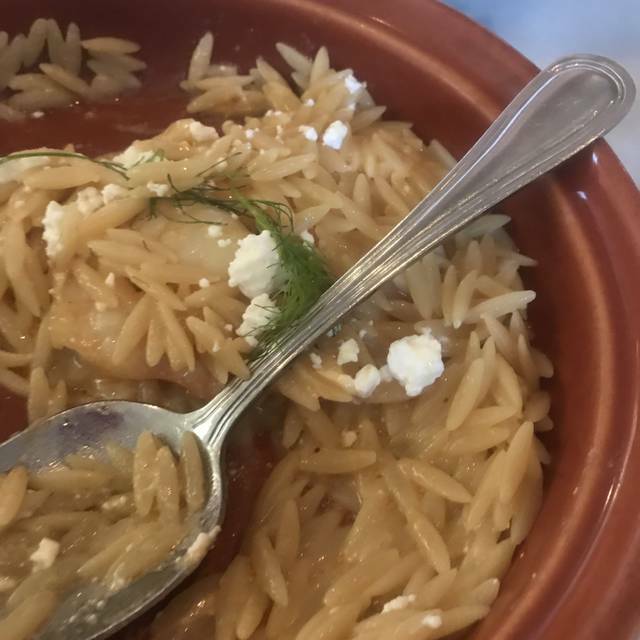 Best Greek food in Greater Seattle! Went with friends who are vegetarian. Frequently it is hard to find a varied and interesting selection of veggie dishes, but Ouzeri offered a great lineup. Stand outs were the tzatiki sauce and freshly made pitas, fennel fritters and butter beans with feta. Added bonus: the bartender was concocting interesting drinks including two standouts made with shrubs. Definitely try the ouzo and shrub cocktail. This place doesn’t get the attention, or wait list, that its next door neighbor Spinasse gets, but is well worth your time and $$$. Everything we tried was very tasty. 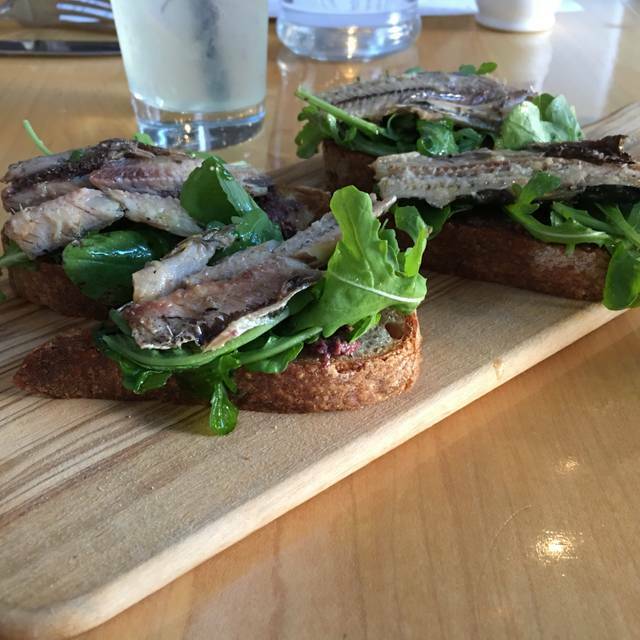 The only disappointment was that the sea bass was very small for $32. Visited for a celebration, and ended up spending hours enjoying fantastic food and way too many drinks. A wonderful evening. If you have ever been to a real greek restaurant this place will make you feel below average the menu does not have the variety. We are repeat customers because of the overall experience. Every detail was accounted for. Big compliments to the server who did a wonderful job! We never waited for more than 5 minutes to be attended to, right from when we walked in to when the bill was given us when we were ready. Keep up the wonderful customer experience... and of course, the tasteful food! Amazing food. Found this place during Restaurant Week and knew we had to come back for more! We chose the tasting menu this time and it didn't disappoint. Food was excellent. The waitress was amazing and knew her stuff about wine (so did our last waiter). What a wonderful find! 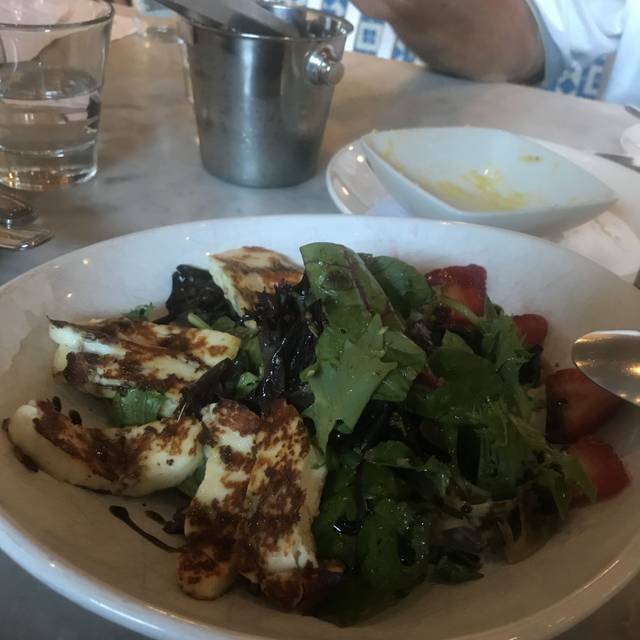 The service was top notch, and the food was excellent! Was skeptical of the new menu, but it was delightful and delicious. Fantastic. Can't believe I slept on this place for so long. Great flavors, great service, rad cocktails. Such a lovely place with a strong identity; something that Seattle restaurants often lack. Omega Ouzeri was always one of the best Mediterranean/Greek restaurants in Seattle. Now with Chef Tana Mielke in the kitchen it has become one of the very best dining experiences nationally. 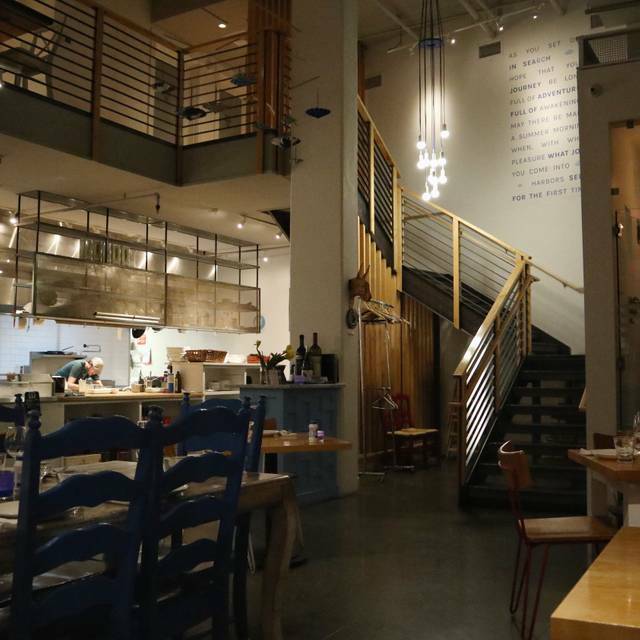 Modern Greek cuisine with a sophisticated Wine list and wine savvy servers. Not to be missed. Authentic at its very best. Expected so much more, food was so slow to come out. The quality and taste didn't match the price level of the items. 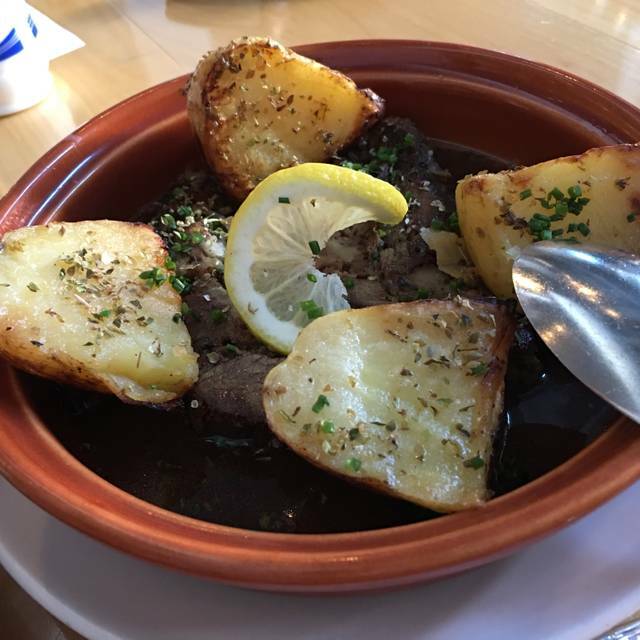 Delicious Greek food, extensive Greek wine list, beautiful decor, warm, attentive service-we make a point of eating here whenever we’re in Seattle. We went on Christmas Eve, which may be an unusual night for this restaurant, but we were not happy with our experience. The food was mostly good and our server was nice, but everything else was not up to our expectations. The prices were very high for what we received and the dishes were not delicious. The timing of our courses was way off—we had to wait 40 minutes between our appetizers and our main course, even when we made it clear that we needed to leave for a show. I was disappointed because I had heard great things about this restaurant, but I don't think we'll go back. Great location, place, service and food. Paid parking is available in the building, if you can't find street parking. We ordered multiple dishes (appetizer, salad and entrée) and share it family style, a couple of the entrée (lamb and octopus) was warm vs. hot. Didn't worth the price at all! It was just a normal restaurant. Have dined here many times and always enjoy it. Love the grilled fish with fenugreek and the vegetables (e.g., horta, beat salad) are excellent. Lively atmosphere and the greek wines are also a treat. Great ambiance and great food. The service was very good as well. I would definitely recommend it. Get the fried cauliflower...it's delicious! Great restaurant! An authentic Greek menu with options for vegetarians and meat-eaters. Friendly, attentive wait staff. Definitely recommend for a special occasion. Always delicious, wish we lived closer! Sarah is an amazing and attentive server, super gracious and makes us feel at home! Love this restaurant! The trio of dips as a starter is a must! Kudos to the chef! Best Mediterranean we have had! It’s was a fun evening made even better by the waitress who helped us mix and match dishes for our table. We tried the 3 course menu for Restaurant Week. Excited to see Moussaka on the menu - have trouble finding that at any local Greek restaurants. Food was good. They had a large selection of Greek wines and we had a great wine at a very reasonable price. Server was very friendly but a little spacey. She brought the wrong appetizers and then forgot to bring the wine we'd ordered until we gave her a gentle reminder. But minor inconveniences! We enjoyed the meal.